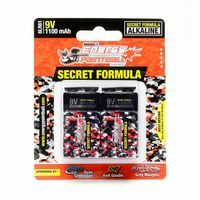 ENERGY PAINTBALL is a brand of paintball batteries. Our batteries have been developed to answer exactly to specific needs of loaders and markers, which use a lot of energy. We've turned to our development team of engineers and professional athletes to bring to you the most advanced paintball batteries. You will be able to find our batteries in all the tournament, shops and fields around the world. 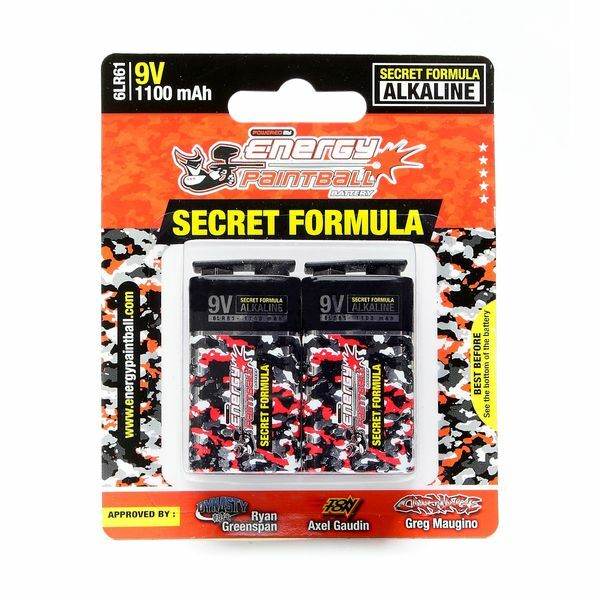 ENERGY PAINTBALL batteries will become a new consumer good as the paint in shops. ENERGY PAINTBALL engineers have developed different kind of products: Alkaline and rechargeable products. We have developed 9V and AA in the booth technology. Our products are packaged to be optimized for the player, it could find pack of double 9V for his hopper, single 9V for his marker (or other kind of hopper) and AA by 6 batteries for his loader (type Rotor). Professional teams and pro players have chosen to play with ENERGY PAINTBALL batteries like team Dynasty, Infamous, Tontons and others pro players like Konstantin Federov, Jon Richardson, Bobby Aviles, Ryan Greenspan, Nicky Cuba, Mr U, Rocky Cagnoni or the Lundqvist brothers. We always look to find new partners so, feel free to contact us If you want to become one of our business partners to discuss about opportunities to realize your project with ENERGY PAINTBALL.